Everyone has their own personal style and design preferences, however, there is a definite correlation between design styles and the selection of either light or darker countertops. 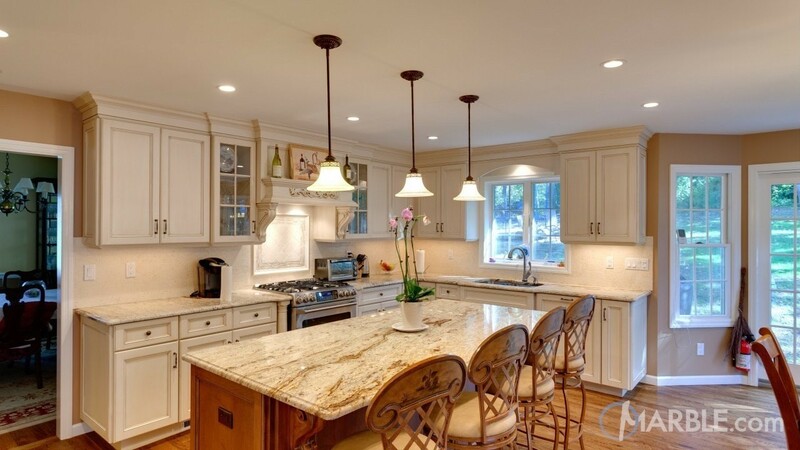 This article will discuss the characteristics of light and dark shades of natural stone countertops and how they work to complement various design styles. 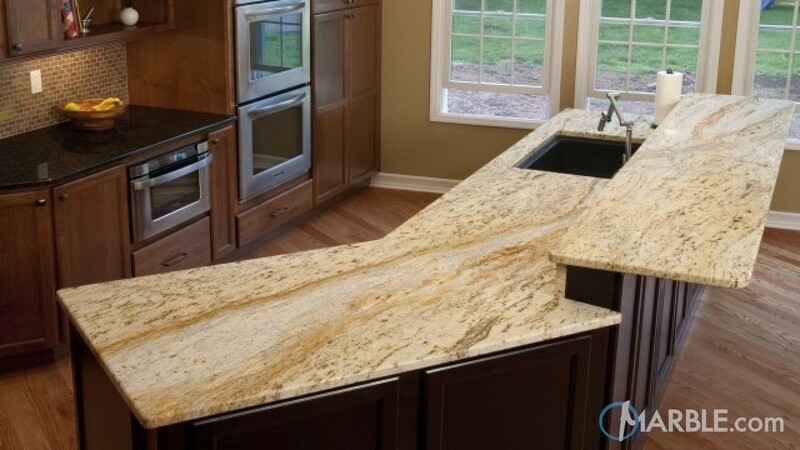 Remember though, there are no fast and hard rules regarding which shade of granite, marble, quartz, or any natural stone countertop should be used and regardless of whether you’re looking for a fresh and bright kitchen, or one that’s sophisticated and bold, almost any natural stone can be adapted to fit your unique style. Generally speaking, lighter countertops really present a clean and crisp look. They also have designs that seem more pronounced creating an attractive focal point. Darker countertops, by comparison, are seen as sleeker, with the darker tones and textures adding a cool vibe. While there’s no tried and true method for deciding between lighter or darker natural stone hues, there are some ways to narrow the field of options. 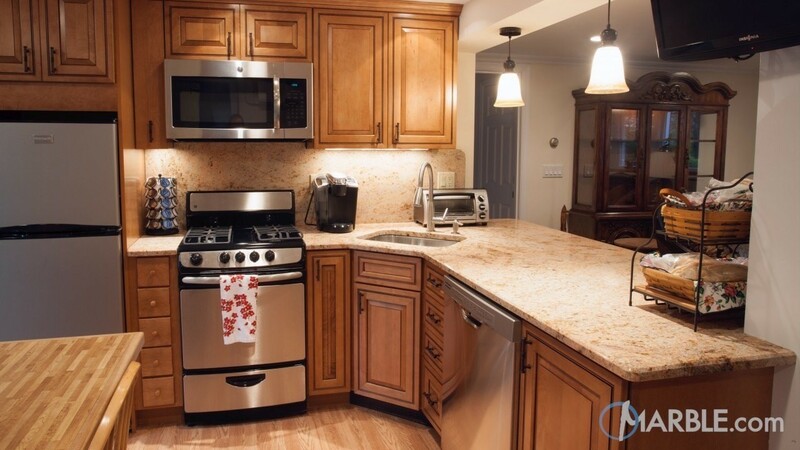 First, will you be replacing or refinishing the kitchen cabinets? If you are, have you decided on a finish? Even if the existing cabinets will remain as is, their color can help steer you towards the ideal countertop. Regardless, the color of the cabinetry you’re working with can help to steer you in the right direction. Current market trends indicate that homeowners are choosing lighter countertops with darker cabinets, a combination that enhances the contrast between the two surfaces. This combination also has a practical side. Darker finishes like Cherry or Coffee helps disguise anything that splashes or drips on the cabinets between cleanings, while countertops, because of their function, are cleaned far more often than your cabinets, usually multiple times a day, so although spills make be more noticeable on lighter countertops, they're usually not there very long. Your flooring is another element to consider. Typically, countertops and flooring, while not identical, tend to look their best when they’re both in the same color family, otherwise, the kitchen can feel overly busy. One design tip to think about is that the horizontal lines in the floor and countertops should harmonize, while the cabinet should offer some contrast. Want to buck the trends and tradition? You can create a beautiful kitchen using light natural stone countertops and lighter cabinets, like the Atlantis granite countertops with off-white cabinets shown below. Darker cabinets and countertops combined can be fantastic as well, like this kitchen featuring cosmic black granite and dark wood finished cabinets. Why not mix it up? If you have a kitchen island, go with darker countertops around the perimeter and a light island top, or vice-versa. Finally, here are a few additional tips that will surely help you make this decision. • Lighter cabinet finishes, including Maple, Honey, and White, combined with darker hued countertops is a timeless look that works. • While you may be a fan of bold color, dramatic shades are typically best used in elements like the backsplash or window coverings. More neutral tone countertops will allow you to change the overall look for the kitchen later. • Kitchens with large windows and tons of natural light accommodate darker countertops beautifully. • A lighter countertop combined with a lighter floor often yields an airy, “beachy” atmosphere. 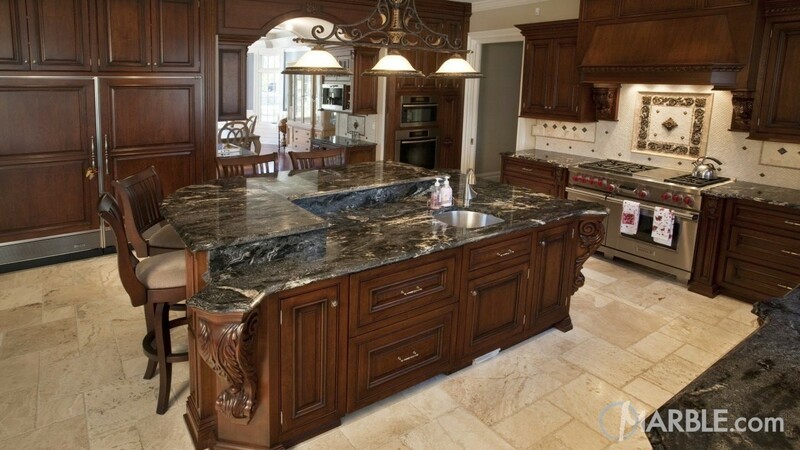 • Extremely dark and extremely light countertops can have a dramatic and elegant effect. What do you prefer? Lighter colors or darker colors? If you can answer that question without hesitation, then congratulations, you’ve decided the shade of your new natural stone countertops.